Dainty Dollymix UK Beauty Blog: Fancy A Chance To Win A iPulse Smooth? 'iPulse is available in the UK exclusively as Boots Smooth Skin, and is clinically proven for permanent hair reduction on the face and body. 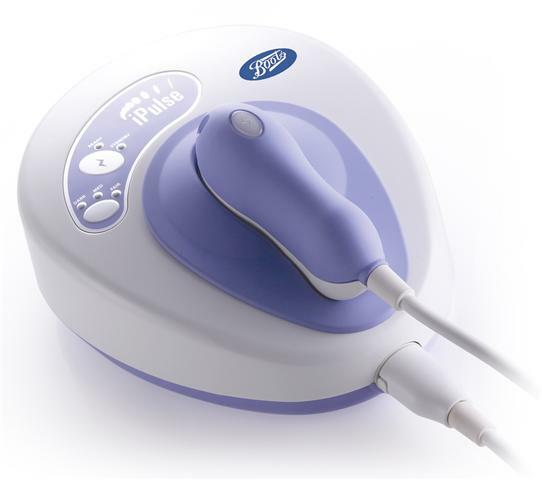 Using revolutionary Intense Pulsed Light (IPL) technology previously only available in salons, Boots Smooth Skin powered by iPulse uses flashes of light to react with the colour pigment (melanin) in the hair to disable follicles and stop new growth. Sounds amazing doesnt it? Heres how you can bag one for yourself! Thank you! I just entered! Thanks for the link! I was admiring this in Boots at the weekend! I nominated you for the Stylish Blogger Award over on my blog if you wanna take a hop, skip and a jump over!! Wow sounds like my kind of gadget! !